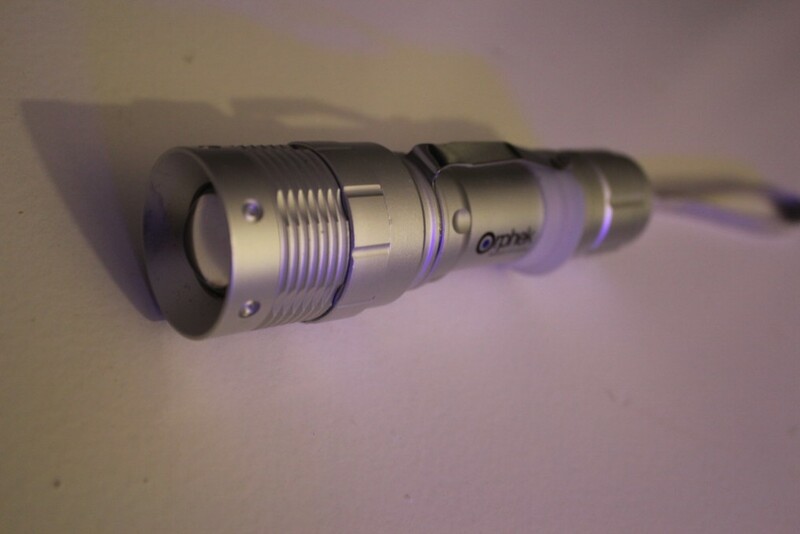 Recifical News, a highly regarded marine information blog in France has recently reviewed the Orphek Azurelight. This is a must read for all those wanting to take great photos of their corals as well as inspect colonies for good health and have the ability to view those critters that only come out in the evening and do so without alarming the fish. Here comes the test of Orphek’s Azurelite, with text and images. When you are shopping for corals, discover their fluorescence if the tank lighting is not good enough. For each coral, the photos under the five lights are presented in this order. For information, my tank, that have been used for this test, is young and its corals are quite small. Contrast and colors have been automatically adjusted with Gimp 2.6, in order to obtain a rendering closer to reality. Moreover, I begin in macro protography. To say the least, the Azurelite is able to strenghten fluorescence when the coral is under normal condition and secondly it is also able to relieve it , even if it is the only light source. This statement confirms the usefulness of the Azurelite, at least for the coral with strong green fluorescence. Test 2: red Zoanthus sp. This zoanthus are red, green and blue, but in normal conditions, only the red and the green are fluorescent. This step shows that the azurelite is able to relieve the red fluorescence. However, no surprise with the blue part of the Zoanthus, which is not fluorescent with the normal lighting of the tank. Test 3: The blue Palythoa sp. Test 4: The blue Caulastrea sp. This time, the blue fluorescence is stronger and is strenghten by the Azurelite. Hlike with the palythoas , the yellow fluorescence of the heart is more observable with the Azurelite than with the pendant. The purple of this coral is not flurorescent in normal conditions and Azurelite can not do better, the blue color on the second photo is not fluorescence. One more time, the fluorescence of the green/yellow heart is more visible with the Azurelite than in normal conditions. Test the azurelite on my tank make me realize that my actual lighting don’t show all the beauty of my corals. Test 6: the purple and green Sanctithomae sp. One more time, the purple is not fluorescent, contrary to the basis. One more time, the Azurelite enhances fluorescence which are hardly visible in normal conditions. Nonetheless, you may have noticed that the Azurelite gives a truquoise blue color at everything which is not fluorescent. I was afraid that this lighting do not permit to appreciate the delicacy of the little outgrowth of this very atypical coral, but I was wrong. Without any surprise, the Azurelite is able to show the red fluorescence. On the contrary, the green reflect we can oberve with the blue lighting only is not relived by the Azurelite . I love this coral for this contrast between the high fluorescence of its the outgrowth and the deep color of the basis With the Azurelite, this contrast is quite well conserve. As we already observed, the green fluorescence looks more yellow with the flashlight, even if the dominant color remain green. Test 9 The green and greenEuphyllia sp. ! Azurelite succeed to shox the green fluorescence, but it colors themonth in blue on the second photo, which is a surpriseful artifact. However this problem does not occur anymore if the Azurelite is used alone . I have obtained this acropora which had lost a part of its tissue at its basis, probably due to a lack of light . With a classic lighting, it is possible to not detect this kind of mater, due to the coral position and the incidence of the light, wich never changes. With the Azurelite it is now possible to check the good healthof the tissus the less accessible, and in a very easy way, thanks to the fluorescence. This test has proven that the Azurelite, as small as handling, is fully cabaple to relieve the coral fluorescence. Moreover, this amazing tool axraed me that my actual lighting is not able to fully relieve the entire fluorescenece of my corals. I also understood that the Azurelite will help to check the if the basis or the heart of my biggests colonies is not whitening.